A new Viewer pane for displaying local web content (e.g. graphical output from packages like googleVis). Substantially improved UI performance on Mac OS X. A Professional Edition of RStudio Server with many new capabilities for enterprise deployment. There are also lots of smaller improvements and bug fixes across the product, check out the release notes for full details. For more details on how to take advantage of the new debugging tools, see Debugging with RStudio. We’re hopeful that there will be many more compelling uses of the Viewer. 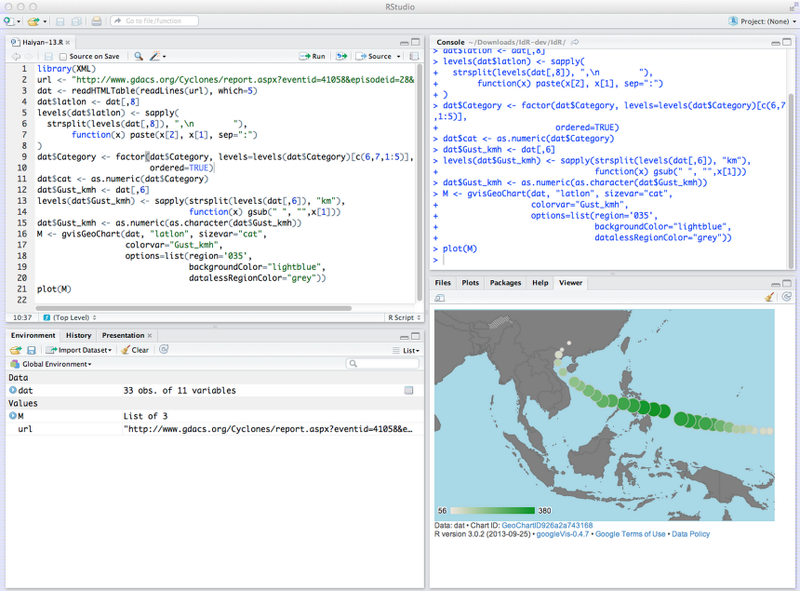 For more details see the article Extending RStudio with the Viewer Pane. 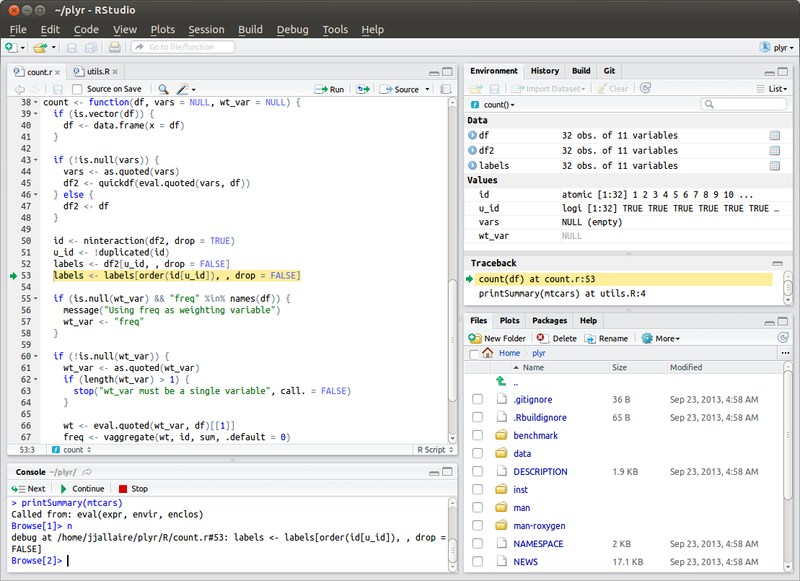 Debugging of Shiny applications using the new RStudio debugging tools. In RStudio v0.98 we also migrated our Mac WebKit engine from a cross-platform framework (Qt) to Cocoa. The original motivation for this was compatibility problems between Qt and OS X Mavericks, but as it turned out the move to Cocoa WebKit yielded substantially faster editor, scrolling, layout, and graphics performance across the board. If you are a Mac user you’ll find everything about the product snappier in v0.98. In the next major version of RStudio we’re hoping to make comparable improvements in performance on both Linux and Windows by using a more modern WebKit on those platforms as well. The RStudio Server product page has full details on the Professional Edition, and an evaluation version of the server is also available for download. With this release we’re also introducing a brand new support and documentation website, please visit us there with questions, feedback, as well as what other improvements you’d like to see in the product.